How to ask for help when you need it most? Life coach means like find someone like friend and provide guidance for you. Life coach is like a friend where they will have conversation with you monthly or weekly and they will help you through different aspect of life. Life coach will discuss with you about the problem you facing recently and provide their feedback based on their opinion where different solution may be discovered since different people have different perspective. Many people are afraid to ask for help where they think this will make them look weak and not able to compete a job. Asking for help mean you request others to help you on your work and you can more focus on more important task. Other than that, other successful people like LeBron James and Kobe Bryant, they also often ask from help form their teammate and trainer to tell them where should them improve and their weakness. 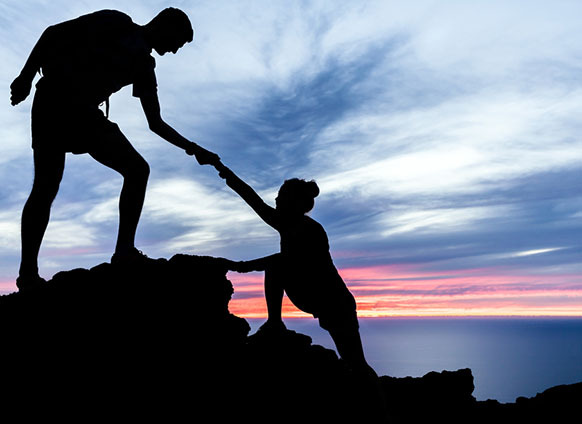 Therefore, don’t always think that ask for help from other is a sign of weakness but you may have interaction with other and improve relationship between you and your colleague. By seeking help, you actually want to know how to deal with your weakness and willing to turn it into your strength. It is not easy for someone to accept their weakness and this need lots of courage. Other than that, seeking help also sign of trust to someone. When you ask for help from others, this means that you believe them that they will help you to deal with your weakness together and learn how to deal with it. After you know how to deal with your weakness, you will not easily let others affect how you behave and perform.